This designation recognizes Certified Remodelers that have demonstrated commitment to the remodeling industry through support of their local chapter, NARI National, and/or their local community. The MCR identifies Certified Remodelers that have withstood the test of time and continue to be successful within the industry. 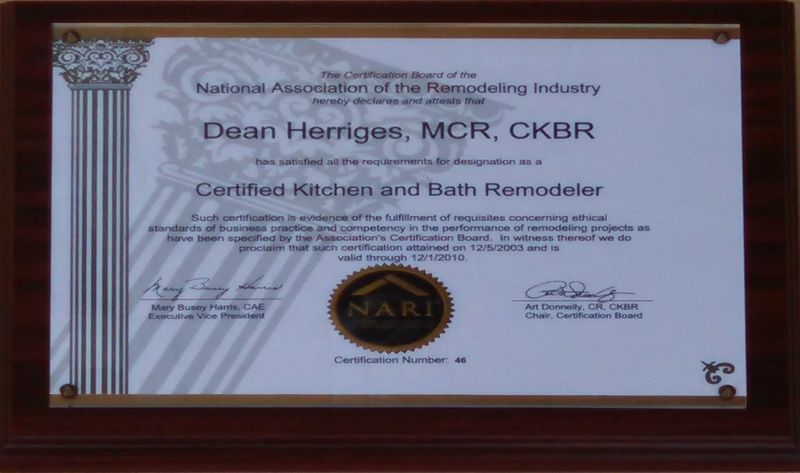 NARI Certified Kitchen and Bath Remodelers (CKBRs) provide remodeling services specific to kitchens and bathrooms. To become a CKBR, candidates must possess skills and knowledge focused on the requirement of materials, layout, and installation of kitchens and bathrooms.